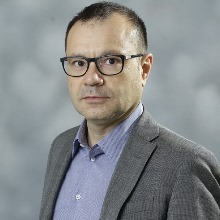 In his previous capacity of consulting manager at IDC's European Industry Solutions, IDC's Insights, and more recently, IDC's CEMA (Central & Eastern Europe, Middle East, and Africa), Giorgio gained a deep knowledge of ICT’s supply and demand dynamics at regional, cross-regional and worldwide level. Giorgio has a degree in political sciences with specialisation in macro-economics from the University of Bologna in Italy and a Master's Degree in European Studies from the Catholic University of Louvain in Belgium. He completed his MBA from the Open University Business School in the UK and holds a certification from the Project Management Institute as a Project Management Professional (PMP). In addition to his native Italian, Giorgio speaks German, French, and English fluently.